Last One Standing – Club Social | B.A.R.F. 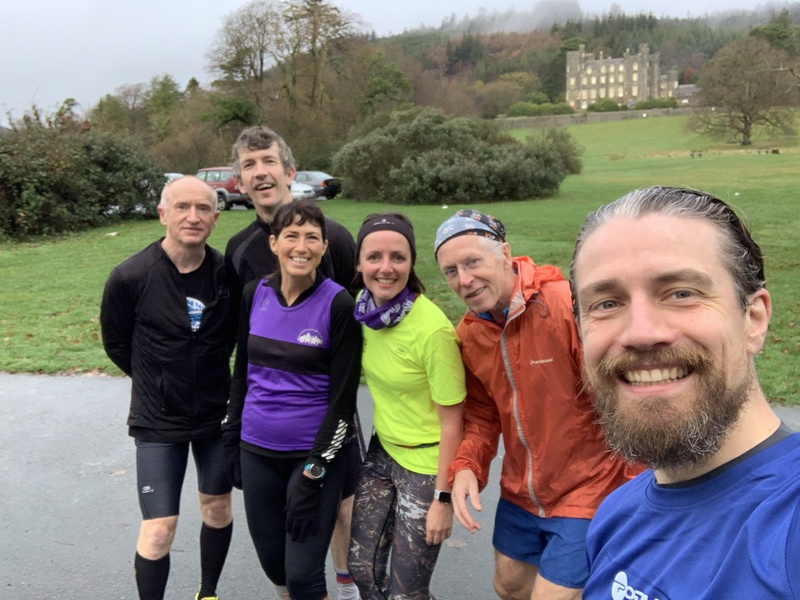 On Sunday 2nd December, members descended on Castlewellan Forest Park for a Last One Standing format social event. 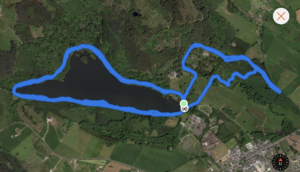 Starting at 7 am, runners would start an undulating 7Km (4.4m) figure-of-eight lap around the forest and lake. With a total of 10 official laps, the event would finish at 5pm! The day started with Aaron arriving 30 minutes early and me (Gerry) 2 minutes before the off. 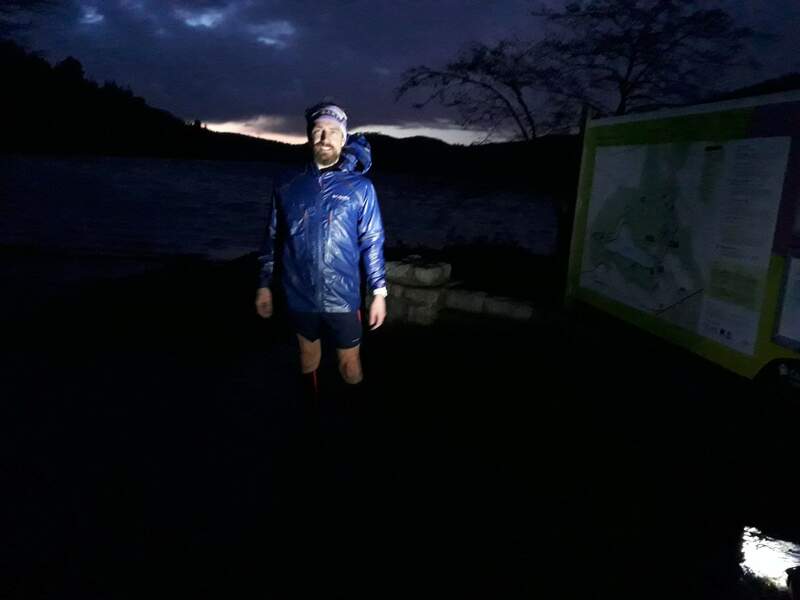 Aaron and I were the only two on the first lap needing headtorches until about 7.30am. Just the two of us again for the 8am lap adding a further 4.4 miles to our tallies, this time with daylight. One of the interests of the day was who would be at the car park when we returned? At 8.45 we were greeted by Victoria, Pat and Kathleen all of which joined the 9am start with far too much speed and enthusiasm having not ran nearly 9 miles with us and only planning on 2 or 3 laps! At 10am Fred joined the pack with the intention of completing a marathon. 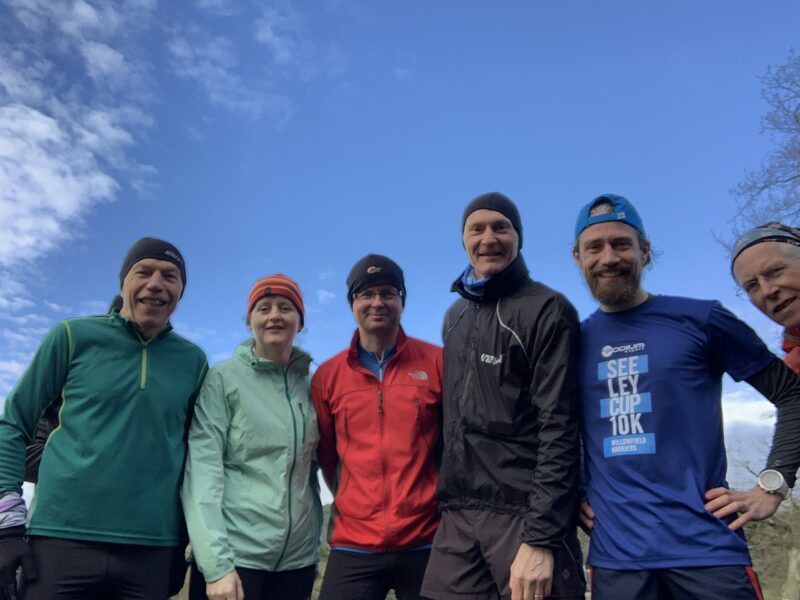 At 11am Victoria and Pat headed home but Pauline, Denise, Clarke and Ian joined in for what would be Kathleen’s last lap as she achieved a half marathon distance. Into the afternoon, Aaron and I completed our 6th lap at 12.45 and we were feeling the miles but pleased to have completed a marathon. At 1pm, Pauline and Denise were pleased to have completed 8.8 miles and decided against a further lap by bike. 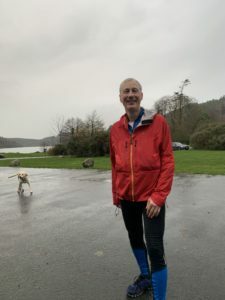 We were joined by Roger and Olive for a 4.4 mile loop followed by a 2.4 mile loop giving them a 10K. Roger should have brought the club defibrillator to help deal with the shock of Mark turning up at 2pm for one lap. 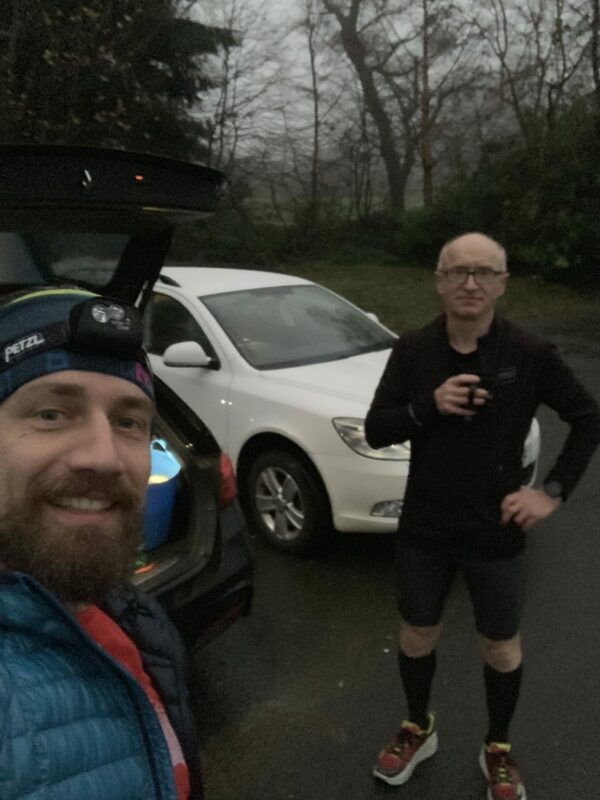 I think the shock ended Clarke and Ian’s running for the day with 4 laps – 17.6 miles complete. At 3pm just Aaron, Fred and myself were running but I pulled out after 2 miles due to knee pain but with 37 miles complete. Fred completed his 6th and final lap giving him marathon distance. So, for the final 10th lap at 4pm Aaron was the only participant but finished within the expected 45 minutes to take a well-earned victory. 44 miles complete. Thanks to everybody who attended and contributed towards the craic and running. 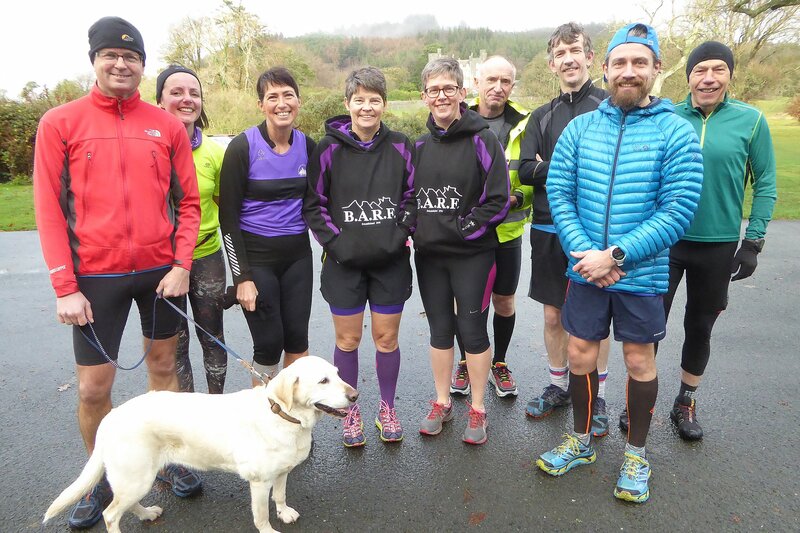 Total of 13 runners covering a combined mileage of 209 miles. This entry was posted in Challenge, Other and tagged Last One Standing on December 3, 2018 by Aaron.